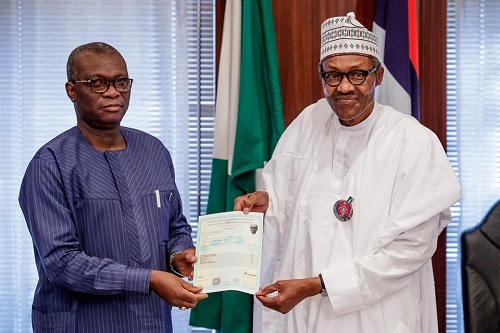 The controversy surrounding the West African School Certificate (WASC) Examination result of President Muhammadu Buhari was laid to rest on Friday as the West African Examination Council (WAEC) handed to the President the attestation of the certificate issued to him in 1961. This sparked outrage among Nigerians who feel the president and the examination body are being dishonest over the issued certificate as they want to know why the President’s current passport photograph was used in the new certificate for an exam which was written in 1961. 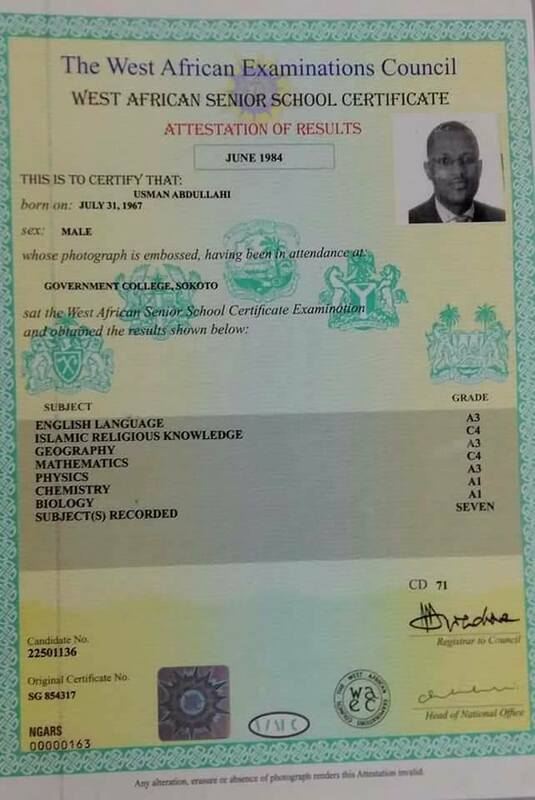 A man identified as Ebiware Tevin took to Facebook this morning to enlighten Nigerians on the issue of current passports used for attestation certificate as he shared pictures of his friend’s WAEC certificate to use as an example. 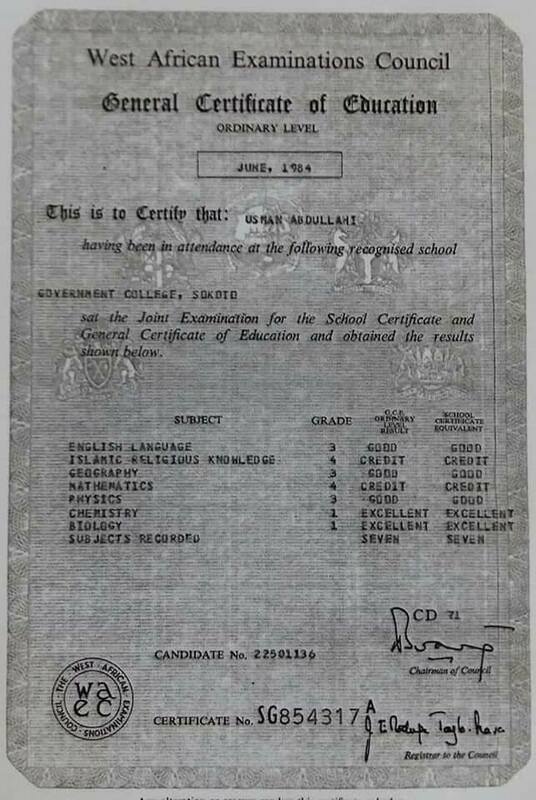 But Nigerians noticed something else as it was discovered that the president’s WAEC attestation certificate does not have original certificate number as seen in the man’s certificate below. Buhari’s original certificate number shows N/A which is not supposed to be so since it was stated that he wrote the exam many years ago. Nigerians are now asking what happened to the omission of the original certificate number on the president’s certificate.